Though I grew up a mere 20 minutes from one of the most symbolic and historic churches in the United States, it wasn’t until last Sunday that I finally had the opportunity to experience Badarak at the Holy Cross Church of Armenia in Washington Heights, New York. While this church was modest compared to the grandiose and ornate ones I had seen in my life, both in the states and abroad, the presence and character of this sanctuary was anything but. Standing inside the church during Badarak, I took in the stained glass windows depicting monumental figures in Armenian history, such as St. Vartan Mamigonian and St. Nersess Shnorali, the wooden pews sprinkled with attendants, and the majestic chandeliers overhead. Dynamic, yes, but the name Holy Cross soon created a buzz for another, more tragic reason – the assassination of Archbishop Ghevont Tourian. Standing at the end of the pew, I thought back to the Christmas Eve service of 1933, when Archbishop Tourian was walking towards the altar before he was savagely attacked by members of an opposing political faction with a butcher’s knife, sealing his death moments later. Despite this blight – not only in the annals of Holy Cross Church, but also in the history of the Armenian-American diaspora – Holy Cross persevered and continued to be an exemplary leader in the Eastern Diocese. 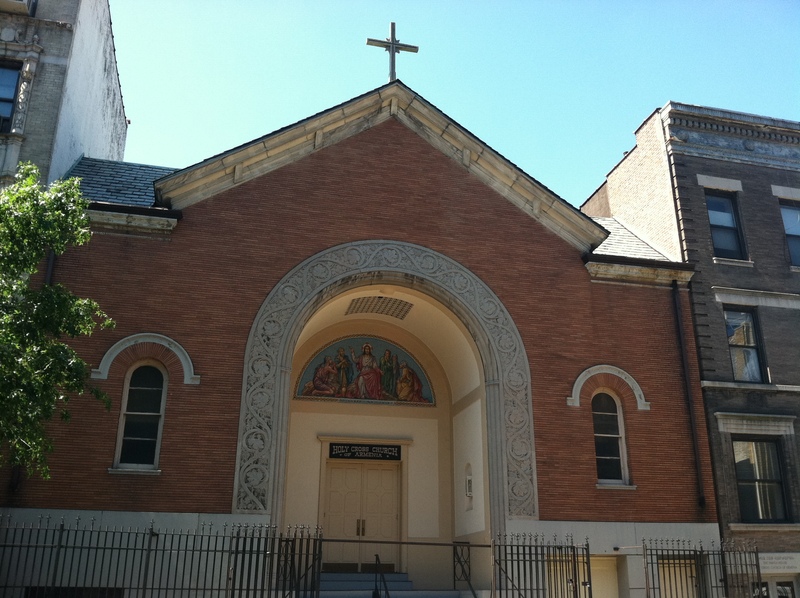 Eventually, however, the demographics shifted and Holy Cross saw its parishioners move out of Washington Heights to nearby New York and New Jersey suburbs in the latter half of the 20th century. That’s not to say that the church has been forgotten. While the church’s members aren’t in the thousands anymore, a core and dedicated group ensure the continuation of the church and Badarak services despite the absence of a full-time pastor. Following services, the hospitable and warm parishioners greeted newcomers, including myself, and invited everyone downstairs to the coffee hour. Concluding my time at Holy Cross, I went outside and looked at the edifice for a few minutes. Despite the challenges the church has faced throughout its storied history, Holy Cross still stands proudly, eight decades after its consecration, symbolizing the commitment of Armenians to their Christian faith. What a wonderful piece. Maybe I will stop by to see this church in person in the near future. One minor correction. The church was rebuilt (expanded) in 1952. 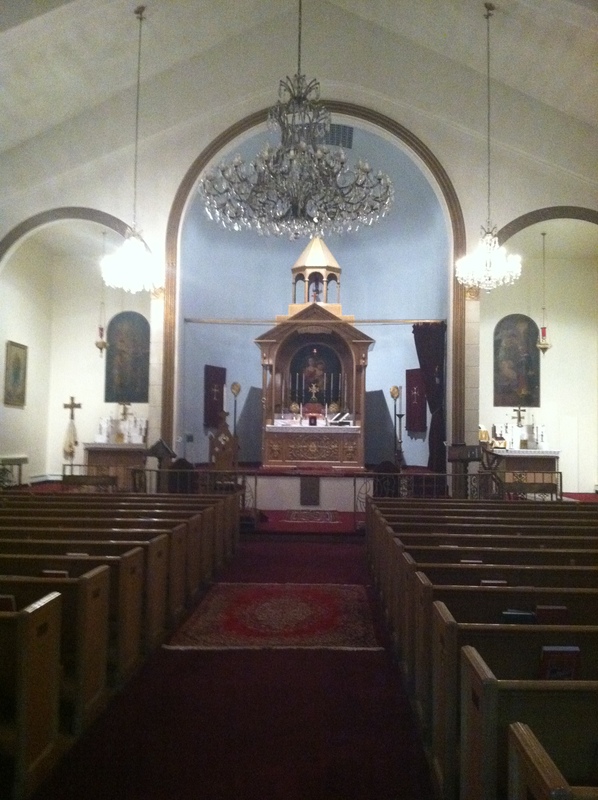 The physical space where Tourian’s center aisle was located is now covered with pews. I used to attend this wonderful church in the 50’s. Father Simonian was the priest and I do remember as told to me by my father and mother that the stabbing occurred at the 28th street manhattan church St. Gregory the Illuminator not the Holy Cross Church in Washington Heights at187th Street. I attend Patarag last Sunday, and plan to attend again. I was pas inmates by the history of charkhapan soorp asdvadzadzin picture. 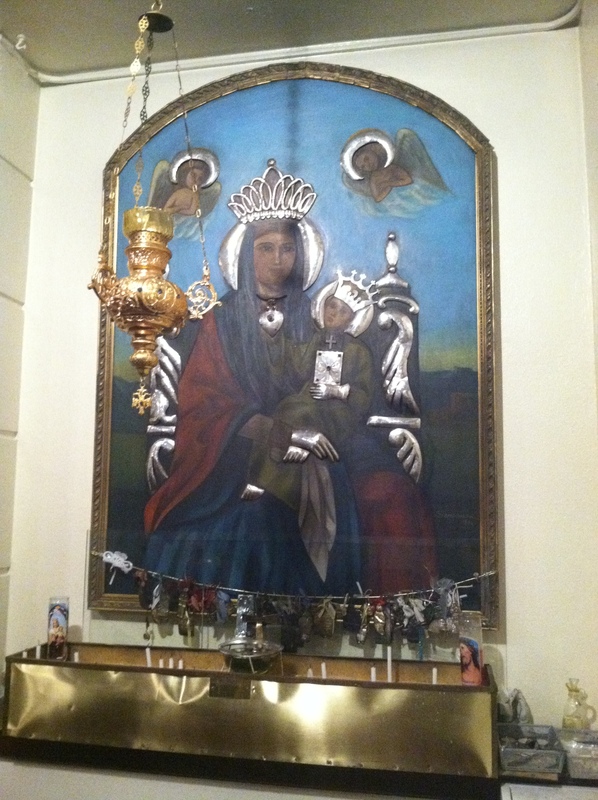 I plan to go there to pray in front of the picture. I am sure my prayer will be heard. I used my iPad to type my previous message. It’s spellcheck future changed the word fascinate to ‘pas inmate.’ Sorry about that.